EL Paper 1 Compositions: Must-Learn Tips for Success! English Semestral Assessments are just around the corner and it’s time for some last-minute tips to calm the nerves. Reassure your child that Paper 1 is not to be feared. Unlike Paper 2—where a pupil might feel overwhelmed when encountering unfamiliar vocabulary or difficult Comprehension questions, the Paper 1 Continuous Writing composition is totally within your child’s control. 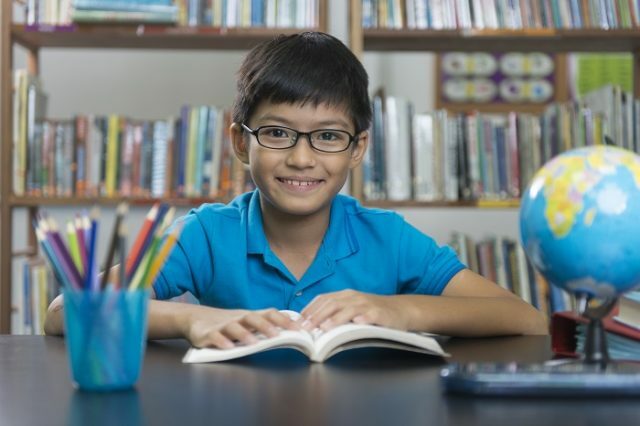 In line with the requirements of the PSLE, your child determines which of the three given pictures he wants to utilise in his story. He can use one, two, or all three of the pictures, as long as they are woven into a story based on the given topic. Planning may seem to take time away from the actual writing task, and is often the first thing thrown out to get a ‘head start’ on writing the composition. Yet a clear and coherent outline helps to keep the story on topic, and is a useful tool against abrupt endings. Take at least 5 minutes to brainstorm the Characters, Setting, Problem/Conflict, Climax, and the Solution/Resolution. 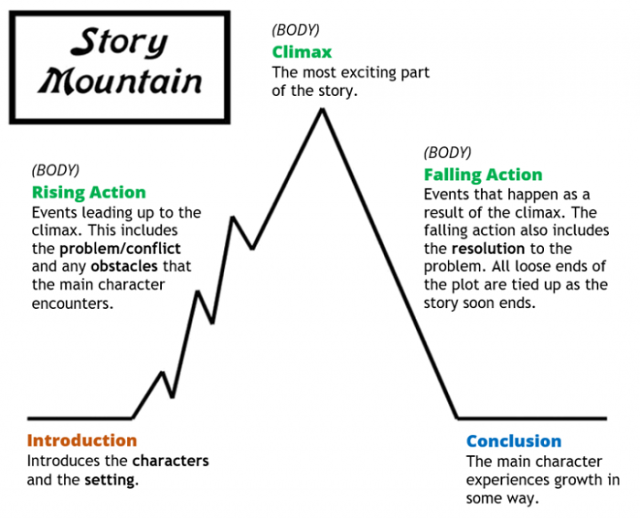 Jot down these story events in point form using a graphic organiser such as a Story Plot Mountain. Graphic organisers help pupils to visualise the 3-part structure of a narrative (Introduction, Body and Conclusion), which results in a proportionate and well-paragraphed composition. #2 Start with an Interesting Hook. Avoid memorising flowery introductions often found in model compositions (e.g. ‘Fluffy magnolia white clouds floated in the azure blue sky.’). Clichéd descriptions of the weather often have little relevance to the story plot and are off-putting to examiners. #3 Develop the Body: It’s All in the Details. Pupils have a habit of rushing through their story by narrating sequences of events without sufficient elaboration. Here is an example of a weak Body paragraph about a P3 girl who has been caught shoplifting. Can you identify the 5 main problems? When Jane turned over the price tag, she gasped in shock. The bag was way too expensive. She could not afford it. Jane glanced around the store. There were no customers near her. She quickly put the bag into her schoolbag. Unfortunately, a security guard caught her in the act. The store manager called the police. Jane was charged with shoplifting and sent to jail. The End. Missing motive: Why did Jane shoplift? Insufficient descriptive details: What did the bag look like? What was Jane’s state of mind just before she stole the bag? How did Jane behave when she was caught shoplifting? What did the security guard, the store manager and the police say or do? Events happened too quickly: Who brought Jane to the store manager? How did Jane react after being accused of shoplifting? The problem/conflict was resolved too easily: How can Jane be caught and, in the next breath, be charged with shoplifting? Unrealistic outcome: The punishment does not fit the crime. What P3 pupil gets sent to jail? In the example above, the characters (Jane, security guard, manager) are flat and uni-dimensional. Story events are lacking in detail and there are gaps in the plot—the security guard, manager and police seem to pop out of thin air. Additionally, the problem/conflict, climax and resolution should not be condensed into one paragraph. The Body should consist of at least three paragraphs. When Jane turned over the price tag, she gasped in shock. The bag was way too expensive. With only two ten dollar notes in her coin purse, she simply could not afford it. Jane glanced furtively around the store. There were no customers near her, and she just had to have that beige leather clutch bag with a sparkly diamond on the front. It would be the perfect birthday present for her mother. Jane stealthily picked up the bag and dropped it into her canvas schoolbag. “Stop!” a voice boomed from behind her. Jane froze. The store security guard had caught her red-handed. Ignoring her pleas, the guard insisted on taking Jane to the manager’s office. Mr Ong, the store manager, was furious and he threatened to call the police. You foolish girl, what have you done? Jane berated herself silently as the enormity of her rash act sank in. Choking back tears, Jane begged Mr Ong to give her another chance. Seeing how remorseful Jane looked, Mr Ong gave her a stern warning and called her parents instead. Remember: a well-organised Story Middle presents information that is relevant to the topic, clearly connected, and arranged in a way that is easily understood, including appropriate paragraphing. The storyline must also be believable (this is why pupils are encouraged to write about something they have experienced before). Vivid verbs to describe actions. Strong, specific nouns to describe objects and places. Sensory details to engage the senses of sight, sound, taste, touch and smell. Sentences which ‘show’ rather than simply ‘tell’. Figurative language to express ideas in vivid or imaginative ways. Jane’s mother arrived twenty minutes later. “What have you done?” she shouted at Jane, her eyes blazing with anger. “How could you do something so shameful?” Jane hung her head and wept silently. She knew that she was in a lot of trouble. She had wanted to make her mother happy and her plan had backfired instead. Always remember that the Conclusion is the last impression that the examiner will have of the story, so it should be memorable. We hope that you have found these tips helpful. If your child keeps these in mind, he will be on his way to writing engaging and effective compositions. The best writers are avid readers, so may you continue to nurture the love of reading and writing in your child. This article is written by LiteracyPlus Consultants. 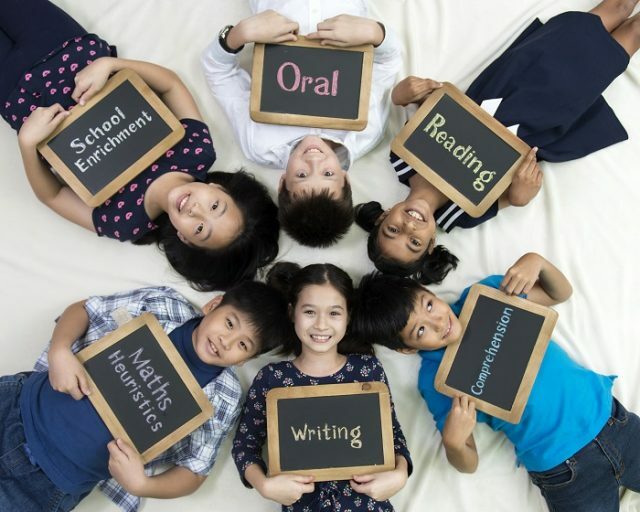 For over 20 years, LiteracyPlus has been offering quality English enrichment programmes to schools nationwide as well as at our LiteracyPlus Enrichment Centre. To date, we have touched the lives of more than 180,000 students in 180 schools. Enjoy a free trial class and receive a complimentary evaluation on your child’s writing! Valid till 2 Dec 2017. Call 6777 2468 or email to enquiries@literacyplus.com.sg to book your complimentary writing evaluation and trial class. Visit our website or Facebook page to find out more about how we may help your child.